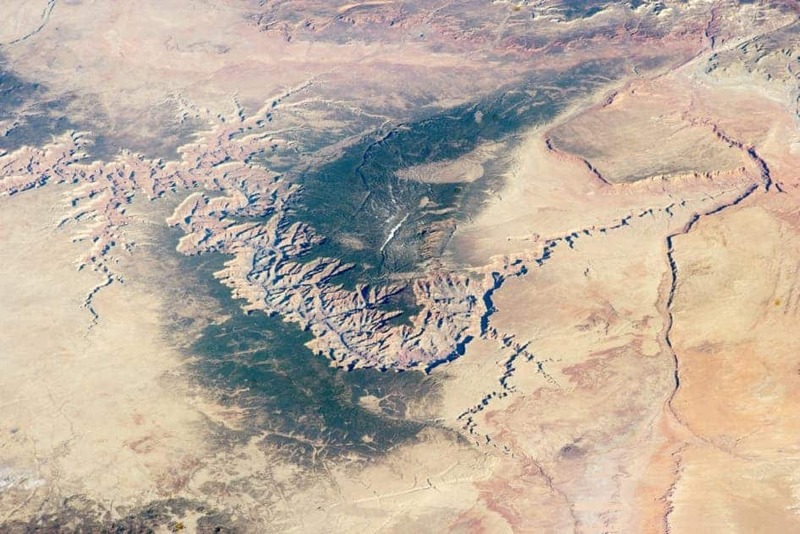 The Grand Canyon is a favorite for tourists all over the world – but if you think it’s cool to see it from the ground level, you haven’t seen it from above – the Grand Canyon in northern Arizona is also a favorite for astronauts shooting photos from the International Space Station. 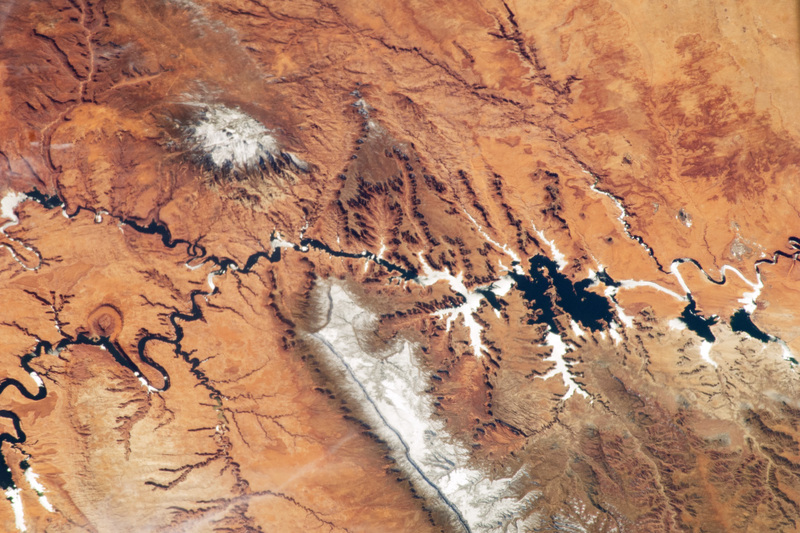 The Grand Canyon is part of the Colorado River basin which has developed over the past 40 million years. However, the canyon was formed much more recently, and all the erosion took place in a very short period of time. It’s still being discussed, but the origin of the canyon dates somewhere between 5 and 17 million years ago (there’s actually at least two studies which greatly contradict each other). The major geologic exposures in the Grand Canyon range in age from the 2-billion-year-old Vishnu Schist at the bottom of the Inner Gorge to the 230M-year-old Kaibab Limestone on the Rim. There is a gap of about a billion years between the 500M-year-old stratum and the level below it, which dates to about 1.5 billion years ago. This large unconformity is a very good geological clue as it indicates a period of erosion between two periods of deposition. Furthermore, as you can see in the picture above, the uplift of the plateau had two pronounced effects: first, in the drier parts of the scenery, forests generally indicate higher places; higher altitudes are cooler and wetter, allowing the trees to grow. The second clue is more subtle, and is even more interesting.